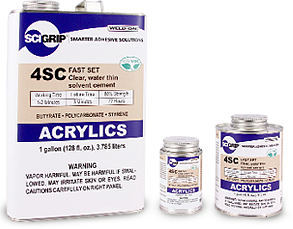 When choosing a supplier for your sign & display bonding needs, you need a company that understands the specific needs of the Sign & Display Industry. 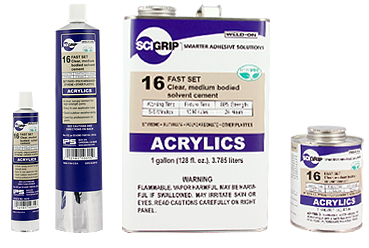 At Gluewarehouse.com, we work directly with sign & display companies to provide the best products in the industry. 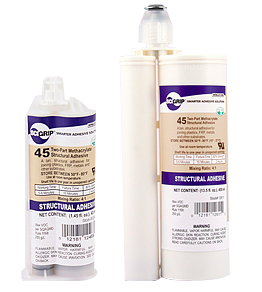 Our high tech bonding adhesives are based on extensive and ongoing research and testing. 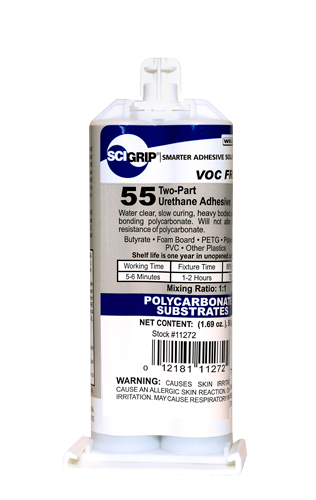 Our bonding adhesives and solvent cements are formulated specifically by SCIGRIP by Weld-On™ to meet and exceed performance requirements of the sign and display industry. 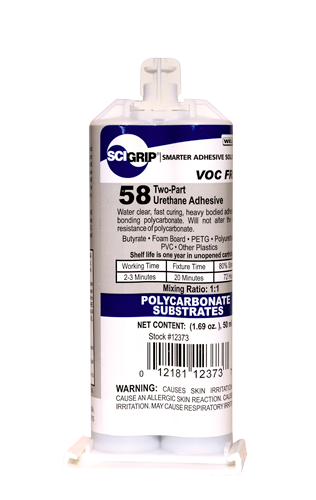 SCIGRIP by Weld-On has been producing top quality solvent cements and adhesives since 1955. 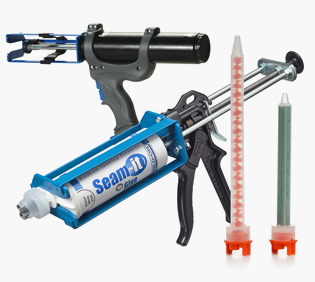 You can browse our products below, or contact us if you need more details about which of our display adhesives work best for you. 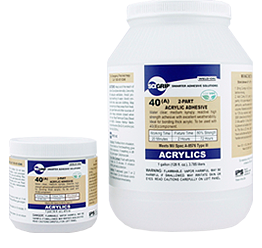 Gluewarehouse.com has years of experience offering bonding solutions in a variety of industries, including countertops and surfacing, marine, and industrial and structural. 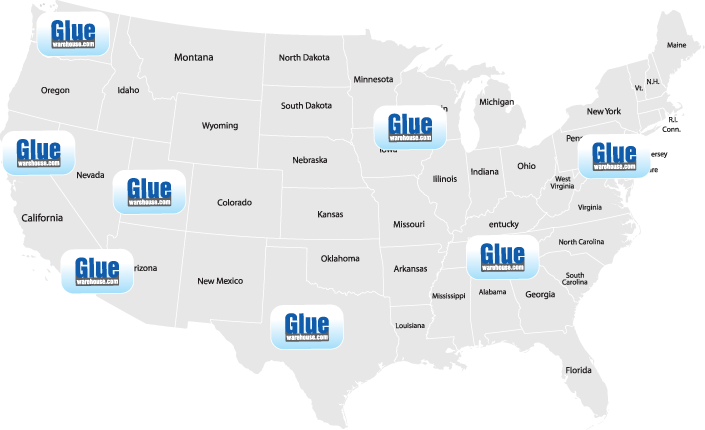 We have eight national warehouses strategically located so that when you order your adhesives by noon, we can have them shipped to you on the same day! 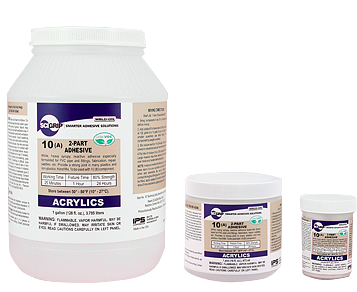 We pride ourselves not only on our quality products, but our quality customer service and expertise. 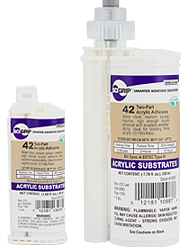 Use the Gluewarehouse.com chat feature on the bottom right corner of your screen if you have a question about any of our products, adhesive bonding applications, color matching, or your Gluewarehouse.com account. and special offers directly in your inbox.